SquareTwo Financial, a leader in the $100 billion asset recovery and management industry, kicked off 2015 by hosting its Partner Summit in Scottsdale, Arizona. More than 100 people attended this year’s event, which brought together partners and company executives for educational sessions and strategic planning in compliance, technology and customer experience. The two-day summit provided direction to attendees on initiatives addressing the changing regulatory and business environment. These initiatives focused on operating capabilities combined with the Fair Square Promise, the company’s commitment to treat all customers with fairness and respect. In addition, attendees learned about the evolution of the company’s business model including Fresh View Solutions consumer collections, which meets unique and wide-ranging bank and regulatory requirements. SquareTwo Financial is a leader in the $100 billion asset recovery and management industry. Through its award-winning technology, industry-leading security and compliance practices, SquareTwo Financial creates a more effective way for companies and consumers to resolve their debt commitments. Lenders in the Fortune 1000 trust SquareTwo Financial to manage their debt portfolios. In all of its recovery efforts, SquareTwo Financial is committed to delivering the FAIR SQUARE PROMISE, the company’s pledge to treat each Customer with fairness and respect. 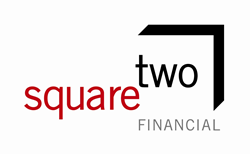 SquareTwo Financial is based in Denver, Colo. Visit http://www.squaretwofinancial.com for more information.